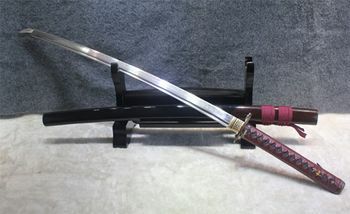 Katana is a particular Japanese Sword. 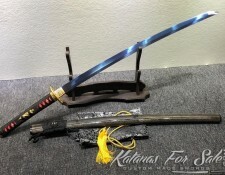 It is commonly called “Samurai Sword” because Samurai warriors are known to have these specific types of Swords. 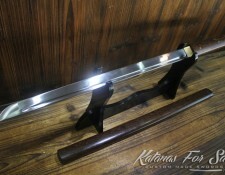 Katanas are characterized by their dimensions and their different parts. Each part has its particularities and its importance. 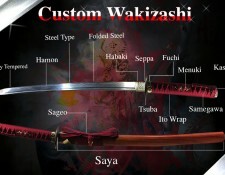 Samurai used to give each part a name that they cherish and glorify. 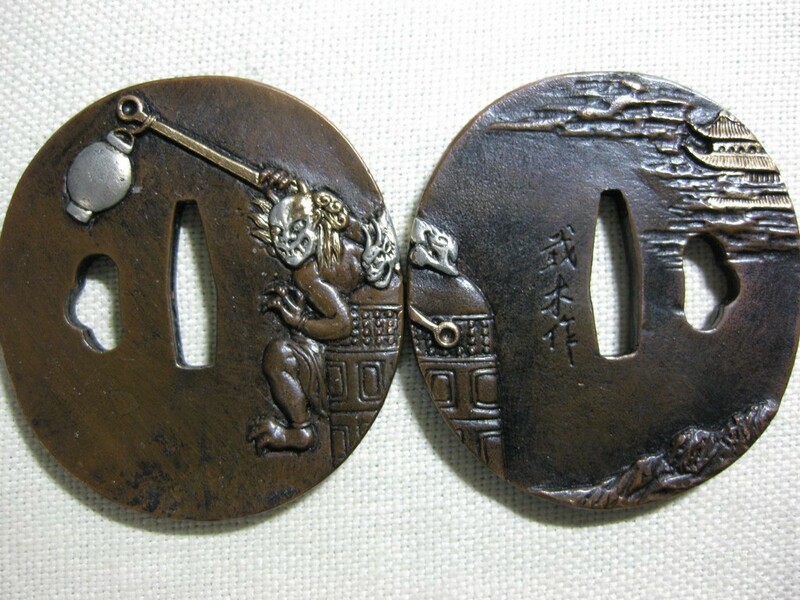 Among them, Tsuba piece, which has a very important role, occupies an important position in the Katana design. 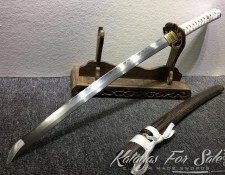 Since all swords (Except Shirasaya) have Katana Tsuba is very specific. 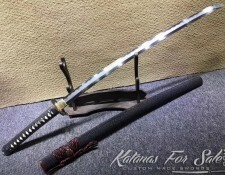 What makes Katana Tsuba very important? 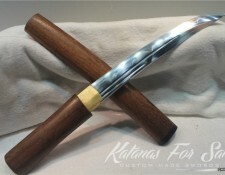 How and of what is Katana Tsuba made? 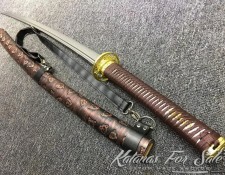 What are the different types of Katana Tsuba?. 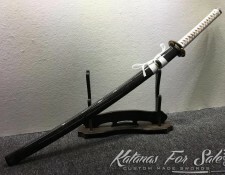 When you grab the Katana from the handle, your hand, the closest one the blade is stopped by some sort of barrier that prevents your hand from slipping over the blade and being injured. 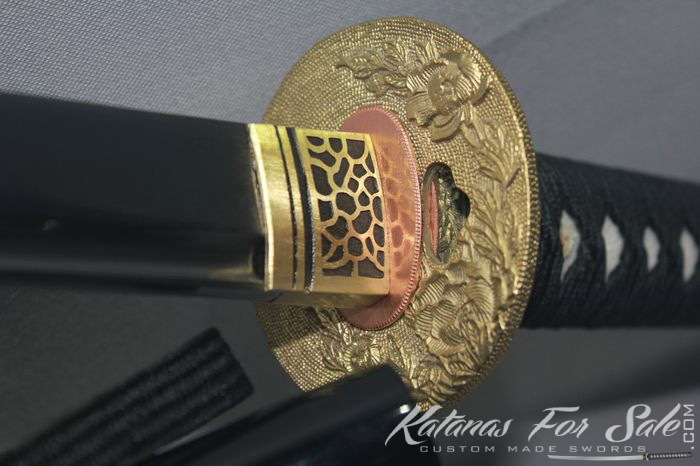 That little piece guards the hands and completes the Katana design, because it is a real piece of art made according traditional concepts and methods. 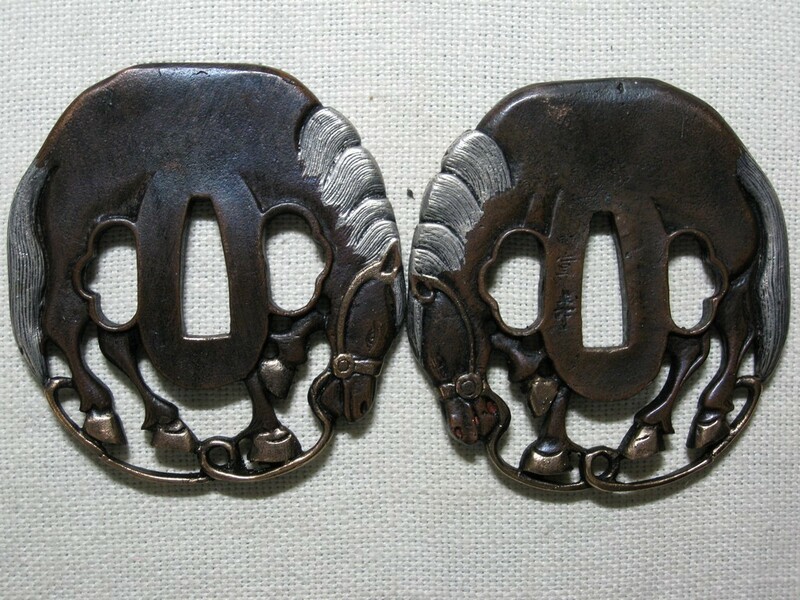 This piece which serves as Guard is called Tsuba. When it is associated to a Katana, it becomes Katana Tsuba. Katana Tsuba can have several shapes and is made of different materials. 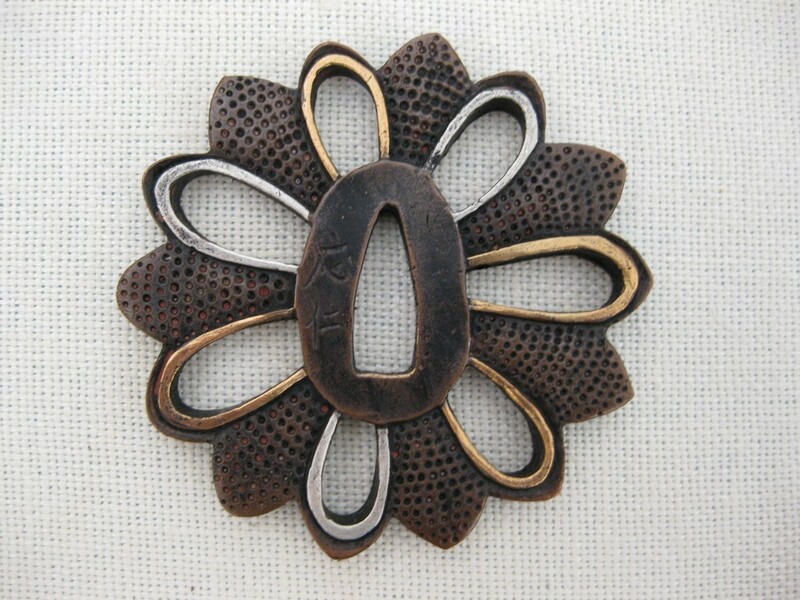 Tsuba is usually made of hard material because it may receive strikes from rival blades. 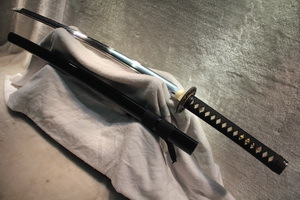 Also, the material type of which the blade is made of and the purposes of making that particular sword affect the Katana design and therefore affect the Tsuba conception. Katana Tsuba is considered as the symmetry plan that connects Saya and Tsuka. 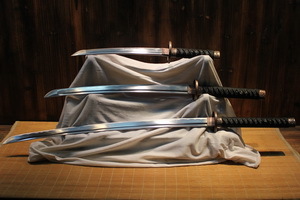 Those two parts are usually made of the same material and complete the curved line of the Katana; they are destined to be in perfect continuity even they are not of the same dimension or design. 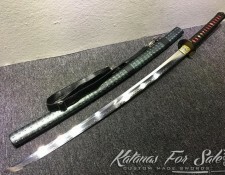 Katana Tsuba is governed by some rules especially the overall dimensions of the Katana: the Tsuba as it is should not exceed an acceptable dimension not to burden the carrier when the Katana is in the Saya and attached to the belt. The Katana Tsuba can be a real piece of art and can carry sophisticated illustrations of Animals or fight scenes. Made of wood or ivory, they were mounted only for celebrations and ceremonies. 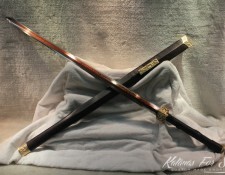 Katana Tsubas were introduced at the VI century by the Shitoji School. They were simply shaped and made of copper and steel alloy. 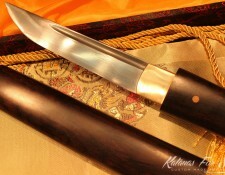 Till the 17 century, Katana Tsuba has only the defensive role and was very often in circular form and with no ornaments. 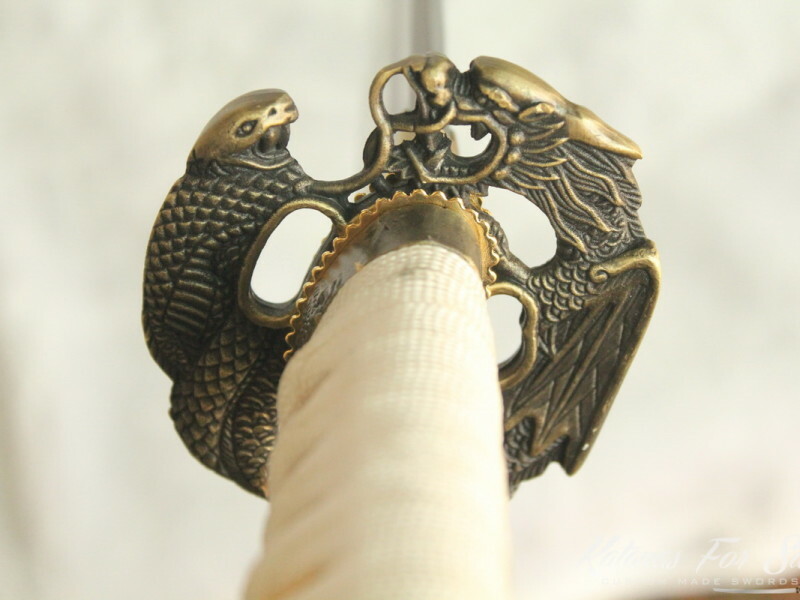 Since the EDO age, making Katana Tsuba became a real discipline and the item became cherished and acquired a social role: the ornaments and the illustration that a Katana Tsuba indicates the Social level of the carrier and therefore Tsuba gained more artistic and aesthetical forms. 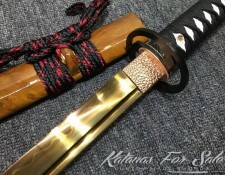 It is interesting nowadays to collect Katana Tsubas because they are made with a high level of design and proficiency. 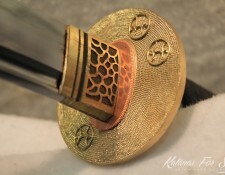 The basic design of the Katana Tsuba is based on three main holes. Each one has a particular shape and particular role. There is a big hole that occupies the centre of the Katana Tsuba and two which are smaller. 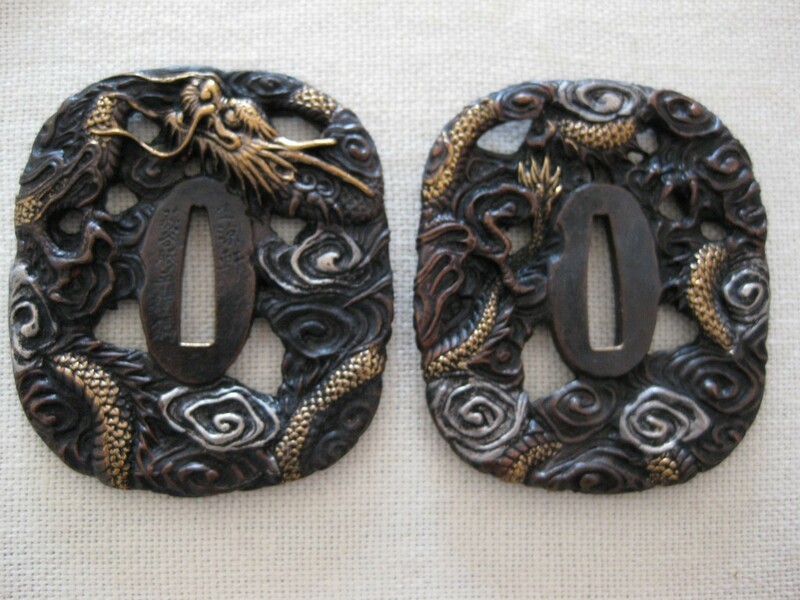 Nagako-Ana: is the biggest one that occupies the middle of the Tsuba. It has an almost triangular shape and it is obviously visible on the device. 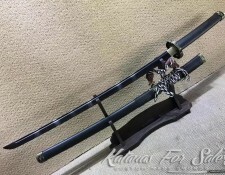 It allows the blade to go through when mounting the Katana. 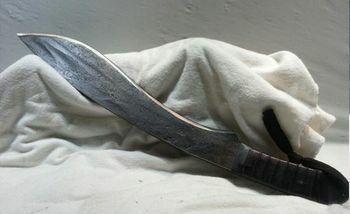 The tight side of the Nagako-Ana is destined to receive the edge of the blade and the wide side is to receive the spine. That ensures a certain level tightness and helps keeping the Tsuba in place. 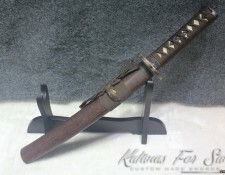 Kozuka-Hitsu: used as support for a smaller blade called Kogatana which is used as secondary weapon and also serves to whatever the samurai needs a “knife”. The noblest duty of the Kogatana was to serve to make the pencil (feather) that the Samurai should use to write his last letter (testament) before he dies. Kogai-Hitsu: serves to keep two little sticks called Kogai; they can serve as weapons, tool to clean the horse’s feet or tools to handle the hair. 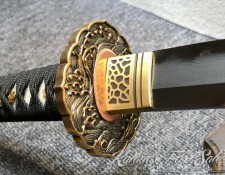 In the modern design of the Katana Tsuba, one of the two last holes may not exist. 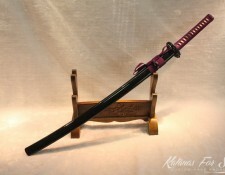 Instead, the Katana Tsuba can be of several ornamental conceptions and has several names according to the shapes and the illustration it may display. 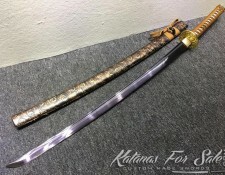 Katana Tsuba can be made as the user requests. If it is to be collection piece there are no major restriction for the design and the material. 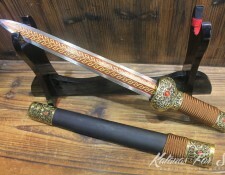 If it is to mount on a Katana, it is important to know the blade material, the purpose of the sword, because a functional sword requires particularly tough Tsuba and a decorative sword requires more artistic one. 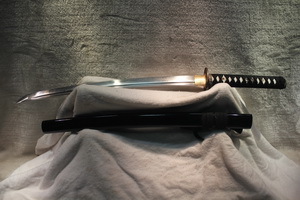 The Katana Tsuba is to design in order not to create a contrast with the other parts of the Katana, especially the parts in tight relationship with that particular item: the Tsuka, the Saya and the Fuchi. Some designs are delivered free of charges and come as standard delivery. For custom request, buyer can be asked to choose an item from a list. 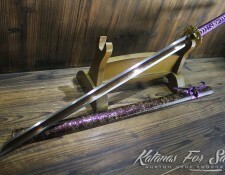 It is important to notice that the extra charged fees are worthy: the piece that the user would choose will definitely be constructed and forged by the hands of professionals who give extreme care to the overall design of the blade and the other pieces to mount to create the final beautiful Katana requested. 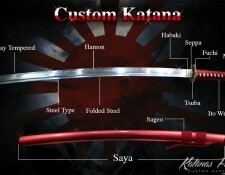 It is recommended to customize the whole set, that means the whole Katana to avoid the badly selected parts and the final badly looking Katana.